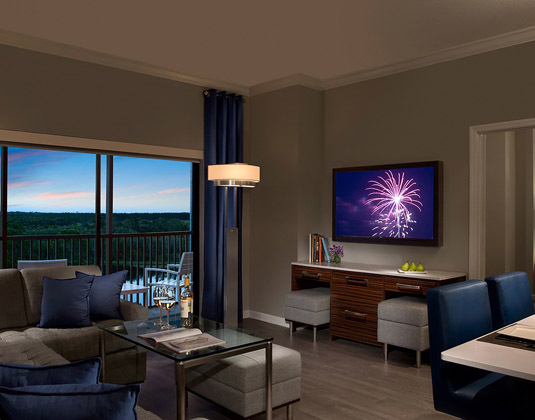 This wonderful resort is situated in Kissimmee, within about 15 minutes drive from Walt Disney World Resort. 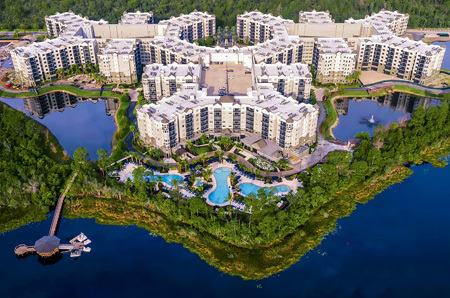 Discover a range of watersports on Lake Austin, find a quiet spot beside the pool or get up and ride the waves at Surfari Waterpark, complete with Flowrider, lazy river and water slides. There's also a variety of dining options and generously sized accommodations. In resort view suites with TV, living and dining room, full kitchen and balcony. Two & three bedroom apartments. FREE nights 7 for 6: 11 Aug-22 Dec 19. Family offer: Childrean eat FREE. Please ask for details.